The best way to get to know a community is by scheduling a tour. See the facilities, meet the staff and residents, and get a feel first hand what it's like to live at The Tradition - Lovers Lane Assisted Living. After years of working in Senior Living across Texas, founder Jonathan Perlman decided that he wanted to develop a Senior Living community with a new vision. First, he determined that superlative service and care would be foundational. He chose the name “Tradition” to connote family heritage and classic design. When he asked a talented residential interior designer to create the interiors for the community, she protested that she had never designed anything on such a scale. He replied, “Do as you always do – make it feel beautiful and welcoming like a home – just a larger one!" He then invited Dallas area seniors to participate in focus groups, and he acted upon their requests for exceptional security, fine dining, a fitness center, a constant flow of fun social activities, and programs that foster mental and physical health. 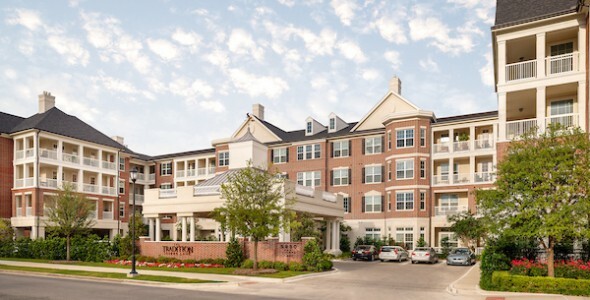 Today, Tradition Senior Living provides senior living in two different locations in Dallas. Both communities are warmed by antiques and filled with natural light in gorgeous common areas. Residents dine by the firelight in an elegant, spacious dining room. Gentlemen read their papers in plush sofas and chairs surrounded by Old World prints and paintings. Ladies play cards in a room painted an ethereal color. When they retire, it’s too extraordinary private living areas detailed with crown molding and individual balconies. It’s just like home – only better. Assisted Living with all the warmth and comfort of home. Surround yourself with a world of beauty, which is just the beginning of Tradition’s Assisted Living Communities. Informative and interesting activities that focus on wellness will beckon daily; our restaurant-style dining will offer an extensive, ever-changing menu; our cutting-edge technology – truly unsurpassed – will promote safety and proactive care for each resident. And finally, a superbly trained staff will provide graciousness and hospitality throughout each day. A beautiful and nurturing environment will surround residents at Tradition’s Memory Care Communities. We will work carefully with family members of residents suffering from Alzheimers or dementia, developing a customized care plan before any resident moves in. Our cutting-edge technology – truly unsurpassed – will promote safety and proactive care for your loved one. And finally, a superbly trained staff will provide graciousness and hospitality throughout each day.